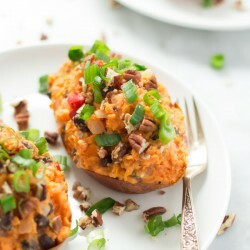 These Southern Stuffed Sweet Potatoes are loaded with onions, red pepper, black beans, hot sauce and garlic. These are gluten-free. 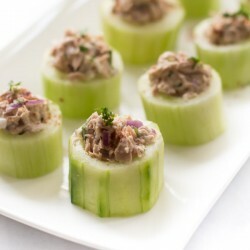 These Tuna Cucumber Cups have everything you need to feel satisfied. 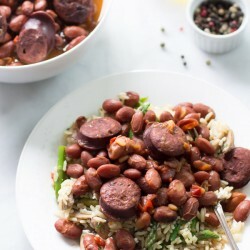 This recipe only requires 5 ingredients and it is low in carbs and gluten free. 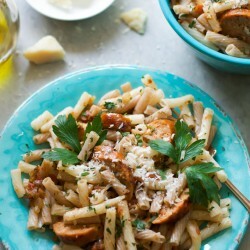 This super easy and satisfying Sausage Quinoa Pasta is tossed in a simple homemade tomato sauce and parmesan cheese. 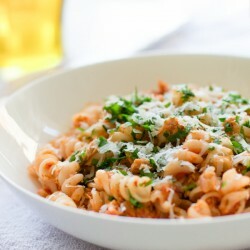 This is a perfect filling pasta. 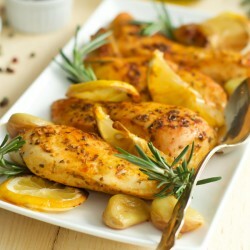 Fresh rosemary, lemon juice, and garlic are three simple, yet flavorful ingredients that create this beautiful and delicious meal. 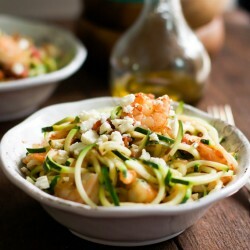 This is a quick and easy Garlic Shrimp with Zucchini Noodles recipe loaded with nutrients that makes a healthy and delicious gluten free and paleo. 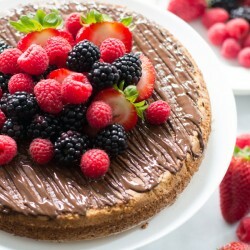 This gluten and dairy free almond cake with berries is made with almond flour and it is fluffy, light, and very moist cake! 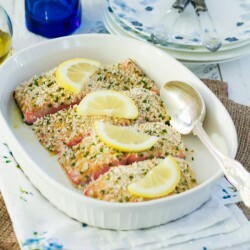 This easy and elegant Garlic Panko Salmon recipe has a delicious and flavourful crunchy Panko crust with a moist and tender salmon center. 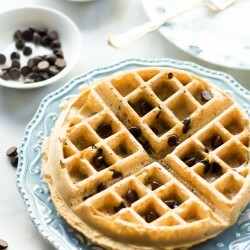 Almond Butter Waffles are made with almond butter and dark chocolate chips for a delicious and healthy weekend breakfast! This Quick Easy Tuna Pasta is a delicious and healthy meal to make when when time is short and you still want to make a nutritious meal for dinner or lunch. 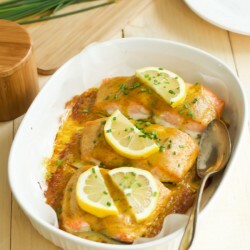 Get this easy to follow Maple-Mustard Salmon healthy recipe today. All you need is only 4 ingredients to make this sweet and tangy flavourful dish. 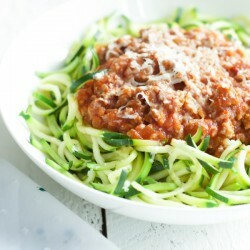 Turkey Bolognese Zucchini Pasta – Spiralized zucchini noodles accompanied by a delicious gluten free turkey bolognese sauce. 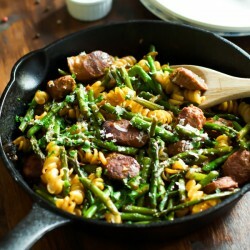 Sausage Asparagus Quinoa Pasta is a quick-to-make combination of quinoa pasta with Italian sausage, asparagus and Parmesan cheese. 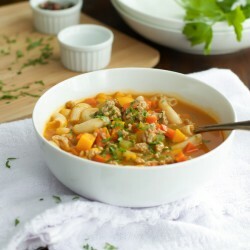 This delicious Ground Turkey Pasta Soup has an awesome texture and flavourful. 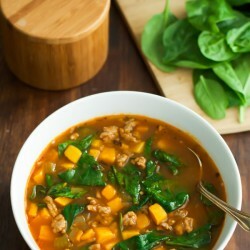 It is gluten free and loaded with ground turkey, celery, carrots. 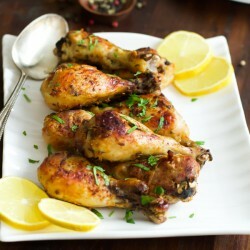 These roasted lemon chicken legs are full of flavours from the garlic, lemon, herbs and it is perfect for quick dinner. 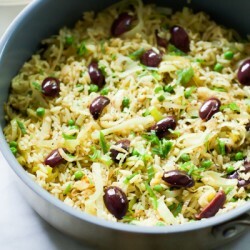 Switch things up by adding some new ingredients to your traditional rice recipe and have this delicious Leek Kalamata Rice meal for your dinnertime! 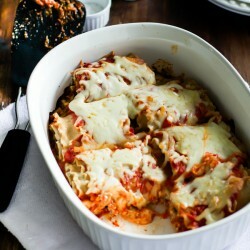 Try this skinny lasagna rolls comforting meal recipe. It is easy and quick to make! 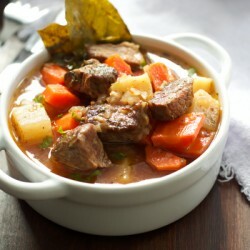 This Healthier Slow Cooker Beef Stew is a very simple, but yet hearty slow cooker stew with potatoes, carrots, turnips, parsnip and herbs. 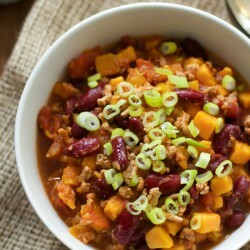 This Slow Cooker Sweet Potato Chili is made with a mixture of extra-lean ground turkey, sweet potato, onion, bell pepper, tomato & beans. 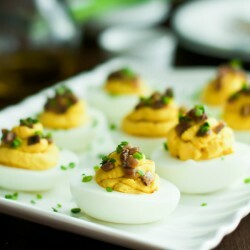 Turn your traditional deviled eggs recipe into a delicious, nutritious and protein-packed, using creamy pureed lentil. 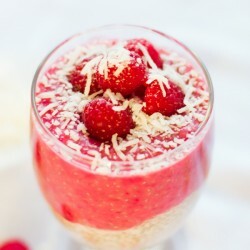 This vegan and gluten free Valentine’s Day Raspberry Chia Pudding is a romantic and healthy dish loaded with antioxidants, fiber, omega3. 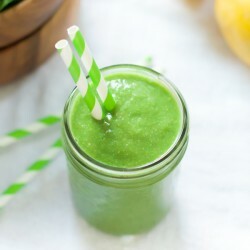 Try this nutrient-packed green smoothie with fresh cut pineapples, spinach, chia seeds and coconut milk to kick off your day. 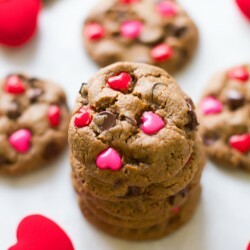 These Valentine’s Day Gluten Free Chocolate Chip Cookies are easy and quick to make, dairy, gluten and grain free and loaded with sunflower butter and heart candies! 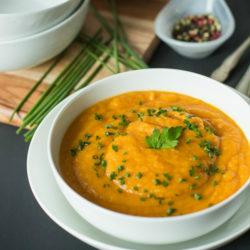 This creamy, gluten free, low carb and high in fiber Carrot and Parsnip Soup is a delicious dinner or lunch option meal during this cold weather. 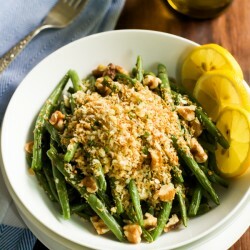 This Roasted Green Beans with Garlic Panko is a gluten free and high fiber side dish for festive meals and parties this holiday season. 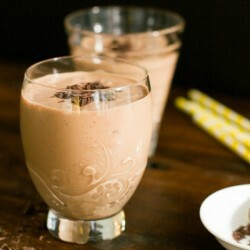 This vegan and gluten-free smoothie is very creamy, thick, rich and absolutely tasty!! It is made with only five ingredients: peanut butter, banana, cocoa powder and of course coconut milk. 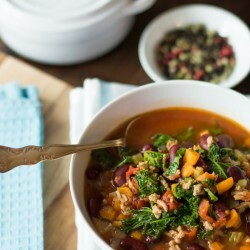 This delicious Extra-lean Turkey Chili with Kale is healthy, easy to make, gluten-free, low fat and it is perfect for a chilly day! 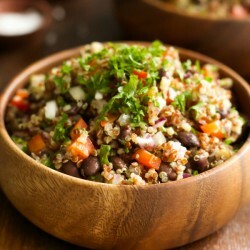 This Easy and Quick Quinoa Salad is vegan and gluten free. 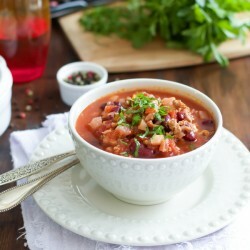 It is also tossed in a homemade vinaigrette dressing, loaded with beans, red onions, pepper and parsley! A quick and easy salad that will leave you feeling satisfied. 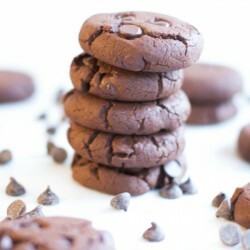 These Gluten Free Chocolate Chunk Cookies are delicious, chewy and soft inside. 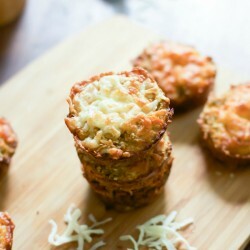 This is a great treat recipe for the Holidays celebrations!! 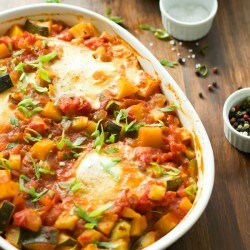 This Baked Eggs with Veggies recipe is low carb and gluten free, loaded with veggies and homemade tomato sauce. 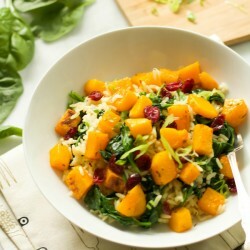 This Rice with Roasted Butternut Squash and Dried Cranberries is a delicious gluten free and vegan side dish.